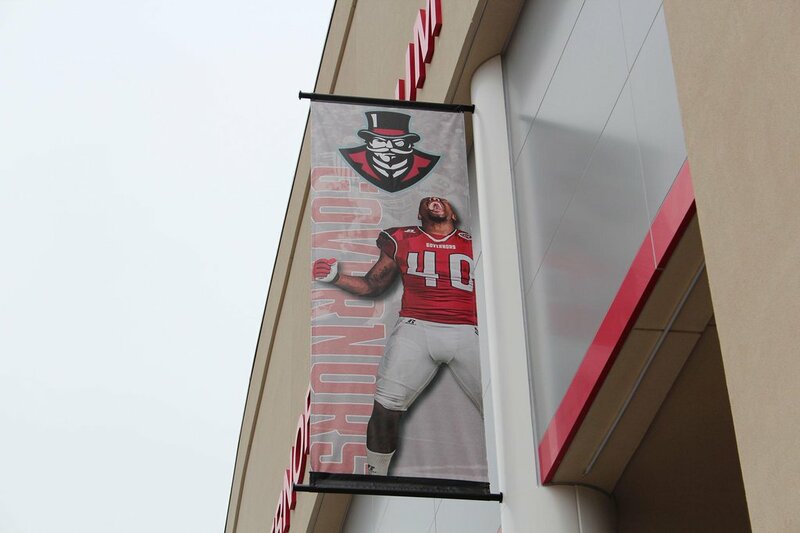 One of our largest projects to date. 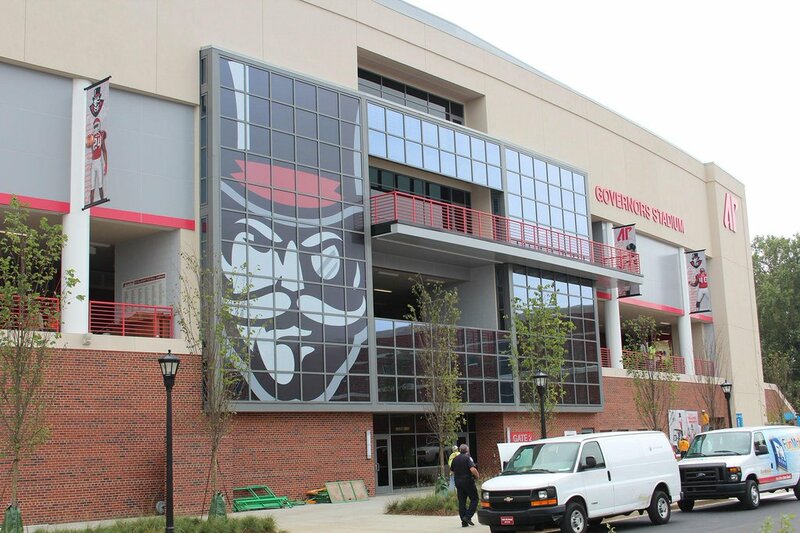 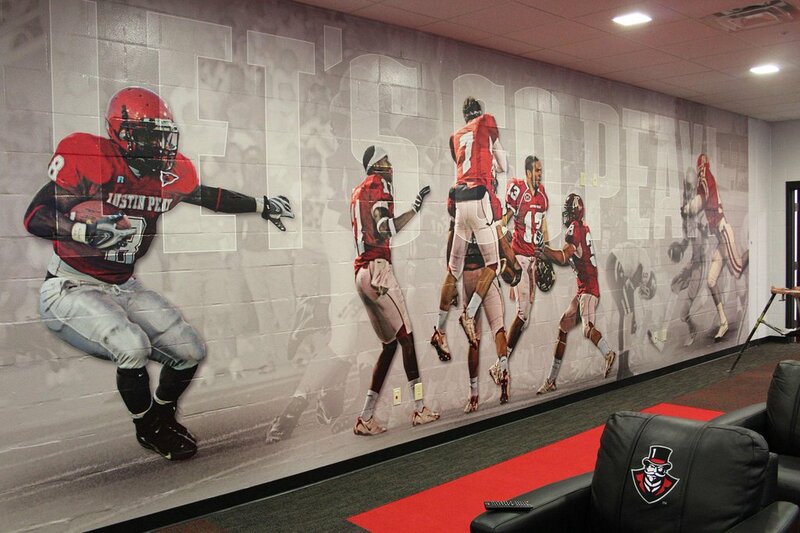 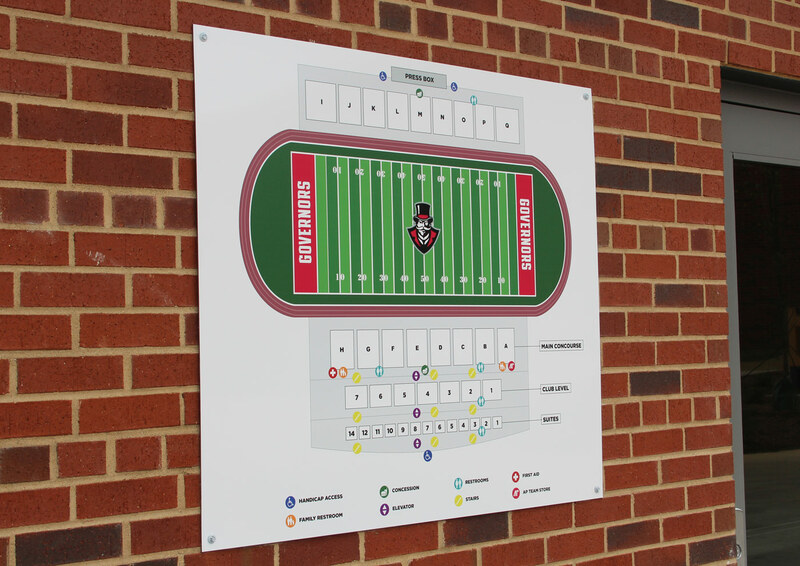 We were asked to assist in the development of design elements and signage for the new Governors Stadium. 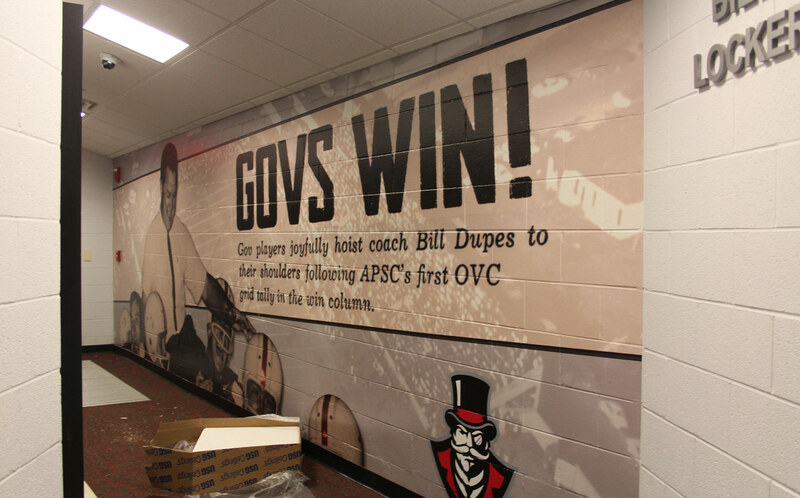 Over several months, we designed more than 20 items, including locker room wall graphics, banners, field wraps, scoreboard graphics, signage and intro videos.